Yes, 34 years have passed since that Saturday, in stifling heat and humidity, not conducive to wearing wedding finery, when we got married. No, I am not posting pictures of the wedding. I will post at least about the celebration dinner we had this evening. 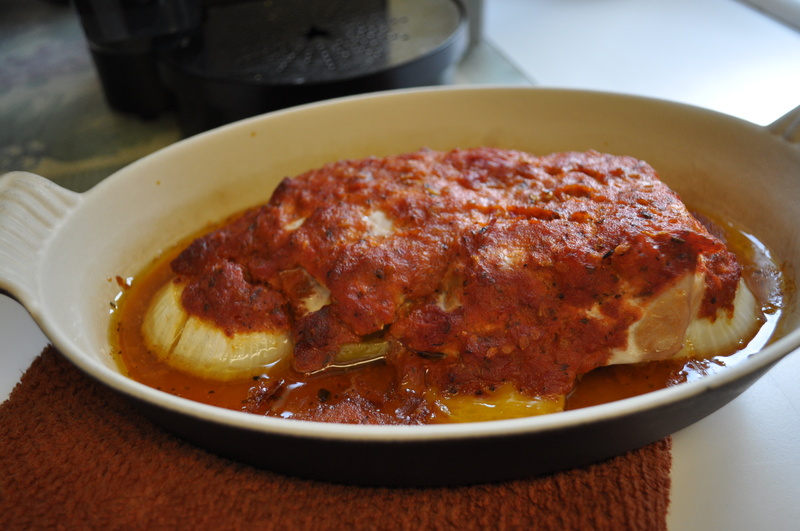 I slow cooked two tuna filets covered in my latest home made tomato sauce. It happily sat in the oven while I made all sorts of other goodies. Like this one. 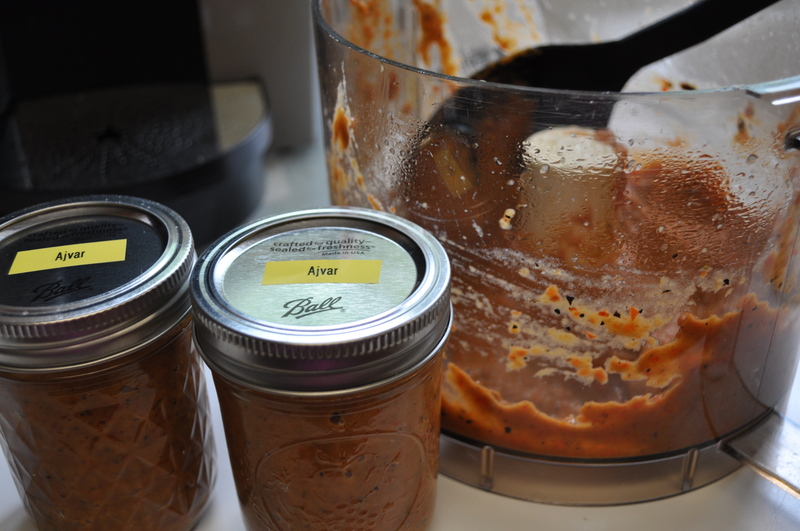 My first ajvar (Serbian roasted red pepper, eggplant and garlic spread) of the season. This was served with crostini as an appetizer. There are also two jars of it. One will be going to an amateur radio club picnic later this month. The other one. On a day trip picnic to some new winery we haven’t visited yet. 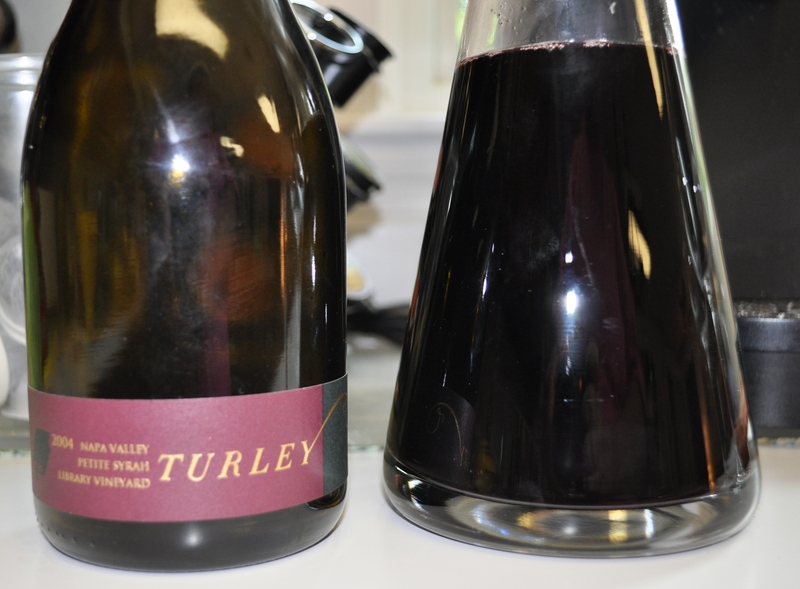 We pulled out a Turley 2004 Petite Syrah from the stash in the basement. Absolutely lovely with the tuna. 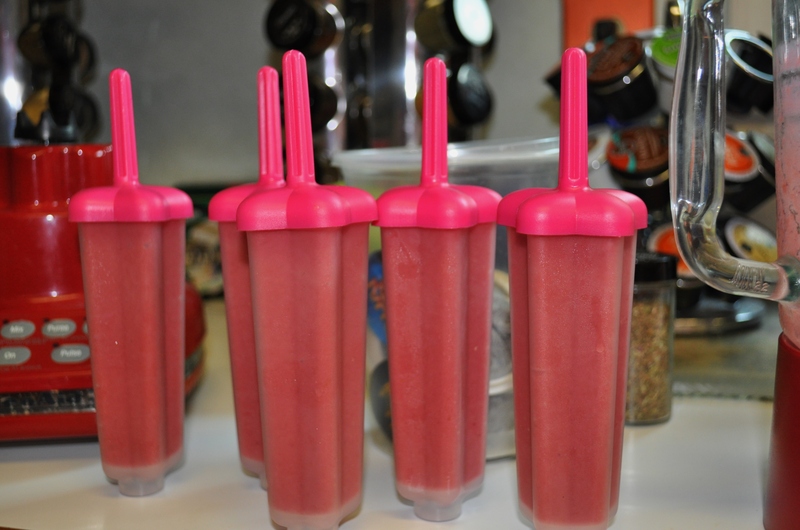 Berry peachy frozen yogurt. The pops aren’t ready yet, but we did have two little containers that were a perfect size for dessert while finishing the wine. This mixture was made with the final package of last year’s frozen peaches, blended with three or four cubes of blackberry simple syrup. A cup of vanilla yogurt. Using up what was left in the freezer from Larriland picking in 2013. Not a bad way to celebrate over a third of a century together. A leisurely meal on the patio. Savored after another big Orioles win. Now, while I type, I am slow roasting peppers to freeze. Up tomorrow night. Slow cooked caramelized onions. Harvest, the fair, and our anniversary. All in the same week. I need a vacation. Posted in Food, Gardening, Hobbies, Real Food, Wine and tagged cooking, crock pot cooking, Food, foodie, gardening, real food, wine. Bookmark the permalink.